In ancient Greece, physician-philosophers were struck by how many plants looked like a body part. They wondered if nature was trying to tell them something. From this observation, they developed the ‘doctrine of signatures’—a claim that certain plants could heal the organ that they resembled of an illness. It may seem like nonsense, however, says nutritionist Jane Hutchens of Lemongrove Road Holistic Health in Penrith, it’s not so far-fetched. The 16th century Swiss-German physician Paracelsus (the founder of toxicology—as well as an alchemist and astrologer) said, “Nature marks each growth… according to its curative benefit.” A century later English botanist William Coles declared that this was evidence of God’s work—by making plants look like the body parts they were able to heal. He (God) was helping humans to help themselves. Perhaps the most uncanny resemblance of a plant to a person is Korean ginseng. 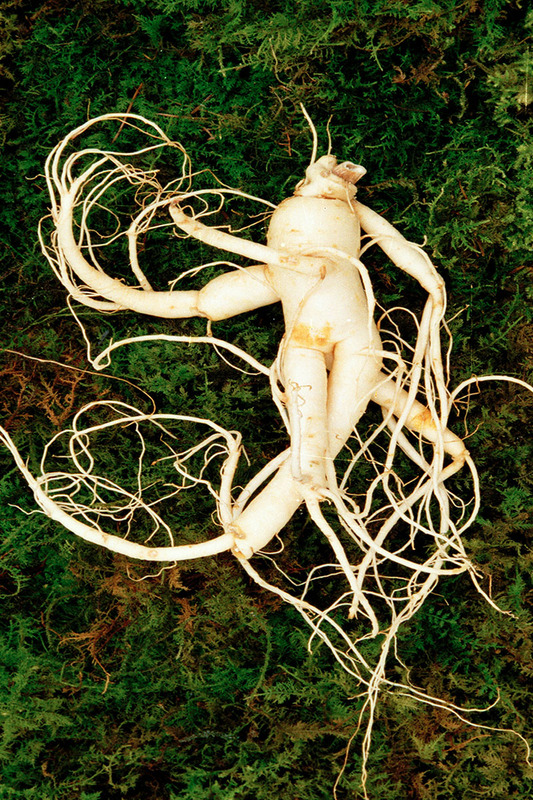 “Korean ginseng root can grow to look just like a human body,” says Jane, “and the ones that do are the most prized.” Perhaps not surprisingly, Korean ginseng has been used to treat ailments almost anywhere in the body, particularly in traditional medicines. The doctrine of signatures was used right up until the ‘rational men of science’ of the 19th century dismissed all such old knowledge as ‘old wives’ tales’, but a resurgence of scientific interest in natural remedies, and the pharmaceutical properties of plants, has shed new light on the doctrine of signatures. Everyone has heard the old wives’ tale that carrots help you see in the dark. Slice a carrot and you will see that it has a central core and radiating lines—like an iris and pupil. The origin of this claim is more recent than the ancient Greeks. In World War II the British mounted a propaganda campaign that attributed their ability to spot German bombers to their carrot-loving pilots. The truth was top-secret—the British had developed Aircraft Interception Radar and didn’t want the Germans to know about the new technology. So, is there any truth in this one? “Carrots have loads of beta-carotene, and other nutrients, that improve blood flow to the eye and can reduce the risk of developing cataracts and age-related macular degeneration,” says Jane. They are also full of Vitamin A, which—if you are suffering from Vitamin A deficiency-related night-blindness—can improve your night vision. Clams bear a passing resemblance to testicles, and contain folate, zinc and selenium for sperm health. Red and with chambers like a heart, tomatoes are rich in lycopene which reduces the risk of heart disease. Red wine is rich in antioxidants and phytonutrients (from grapes) called polyphenos, which reduce unhealthy cholesterol (LDL) and in turn reduce the risk of heart disease and stroke. The alveoli and bronchioles in your lungs look a lot like bunches of grapes, and grapes are great for lung health. They contain proanthocyanidin, which is anti-inflammatory, and helps the alveoli stretch as you breathe. A diet rich in proanthocyanidins is associated with a reduction in lung diseases such as emphysema, asthma, bronchitis and cancer. Almonds are rich in Vitamin E, which slows macular (of the eye) degeneration.